Your group will have a train load of fun on the Grapevine Vintage Railroad! Travel back in time in the 1920s Victorian-style coaches of the Grapevine Vintage Railroad and enjoy a comfortable and fun setting. Discounted rates are offered for groups of 12 or more (1 p.m. round trip only). Transform a basic lunch, family gathering or corporate meeting and experience the Grapevine Vintage Railroad&apos;s beautiful 1920s vintage coaches as you travel back in time along the historic Cotton Belt Route. Charters are pulled by the 1896 Steam Engine "Puffy" or the 1953 Diesel Engine "Vinny." Four Victorian passenger coaches and two touring coaches are available. The train can accommodate 396 passengers, with each coach accommodating between 40-78 passengers. A two-coach minimum rental is required. Each additional coach is an additional fee. For groups planning bar service, some coaches are equipped with mahogany bars. Catering and entertainment suggestions available from the Grapevine Vintage Railroad staff. Reserve an entire vintage coach for your group on the Cotton Belt Train Ride to the Fort Worth Stockyards or the Grapevine One-Hour Train Excursion. 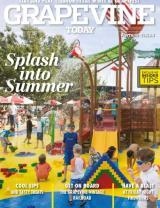 Catering and entertainment suggestions available from the Grapevine Vintage Railroad staff. You choose the date and time. Better yet, you get the entire train to yourself! 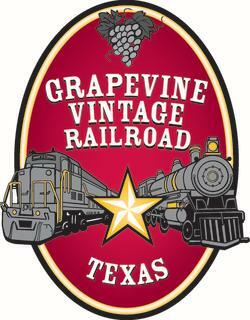 Catering and entertainment suggestions available from Grapevine Vintage Railroad staff. The train does not have to leave the station to have a good time. We&apos;re happy to stage the engine with the vintage coaches at the Cotton Belt Train Depot. Host your event on board or use it as a background prop. Either way, you&apos;re sure to have a wonderful time. Train robbers, saloon girls and western musicians can be added to any rental to complete your truly historic event! For a fun historical themed experience the Grapevine Vintage Railroad also offers Murder Mystery Trains. Contact the Grapevine Vintage Railroad for more details. To book your next group or private event, contact Brian Gentry, Sales Manager at BGentry@GrapevineTexasUSA.com or 817.410.3185.